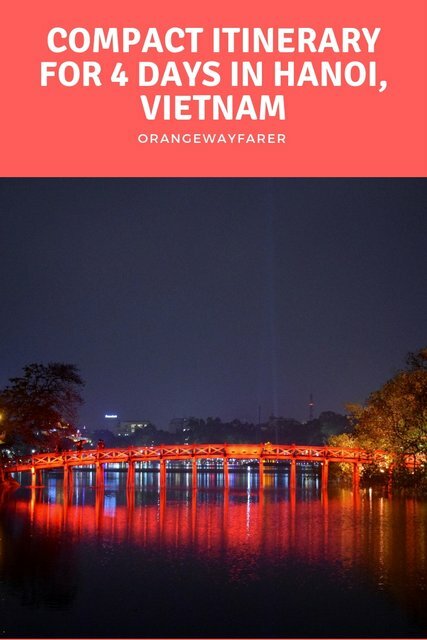 I was pressed with the question what to do in Hanoi for four whole days while planning my trip to Vietnam? Should I spend just a night in Hanoi and hop off to Halong Bay the next morning instead? I got answers to my questions as soon as I approached Hanoi. The old city, immersed in history, takes the appearance of a pretty old lady, wise in her smile, with a hint of mystery in the eyes as I gathered while passing by the lake housing the remains of an American B52 bomber. Millions of mopeds ride on Hanoi streets and create a cacophony well equipped to overwhelm even an Indian, grown up amid a crowd of billions! The capital city of northern Vietnam remained safe to a large extent from the annihilating warfare going on in recent history. While Saigon, for me, remained in a trance of colonised past, Hanoi opened a new chapter of ancient orient on arriving at the old quarter. 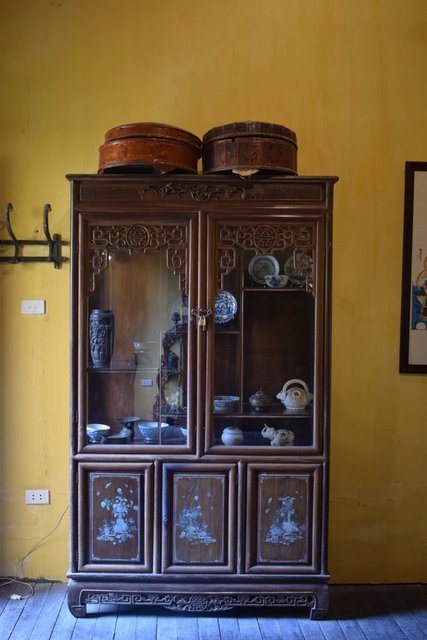 Hanoi Guest House showcases such relics in the guest room! Airport: Named as Noi Bai in local language. Small, clean airport with washrooms and quick refreshments. VOA available for Indians. Be informed you need to get your boarding pass printed from the counter, electronic pass doesn’t work. A taxi to old quarter is around $20. Touts are there, and you need to bargain hard. In case you are arriving very late at night, inform the hotel to pick you up. Uber: Yes, available if it does not rain. Bike on rent: yes available but be extremely careful on the road. Stay: I recommend Old quarter for its rustic beauty. We stayed in Hanoi Guest House. Loved their hospitality. Water: buy a bottle of purified and reusable water while you engage in the city tour. The happy smile, I have figured out my four days itinerary in Hanoi! 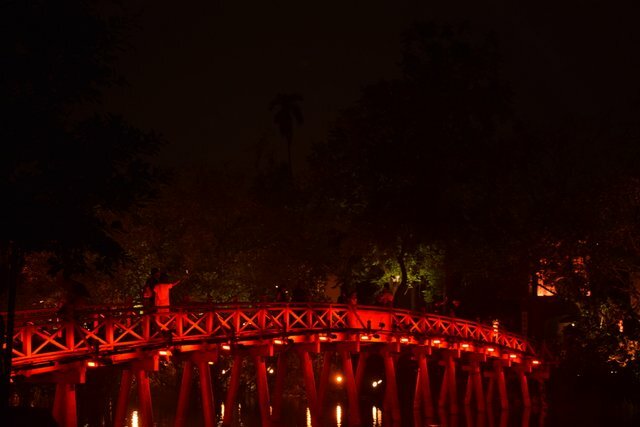 Standing by the bend of tea coloured Red river, Hanoi is alive for a millennium and 8 years! It is often regarded as the bastion of Confucian teachings and communist doctrine. Romancing with Hanoi requires you to walk past the lakes named with mellow love, White Silk or Bright Heavens, squatting by the pavement hugging tools to devour into a frothy egg-white coffee and watch over the yellow veranda houses from a capital that saw the heydays of Ly dynasty as well as French Indo China. As you sip on coffee, it is not unusual to listen to Communist propaganda music coming from multiple shops draped in red posters depicting hammer and sickle. The Doi Moi economic reform has changed the locals to transform the veranda into homemade Pho shops, but the spirit of the city remains old school. Save for some glass cased sky-scrappers causing eye soar, she is boisterous like that. Warfare, change of dynasties are part of history almost with every capital city of the world. 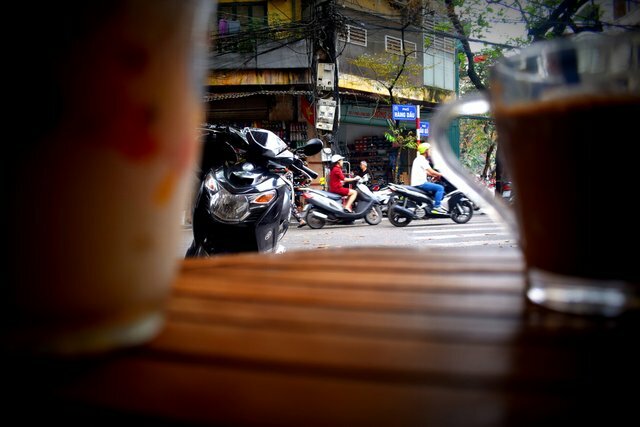 What makes Hanoi special is the slow-paced sombre life that culminates in the political and cultural intelligentsia of the populace. “This is a city that nurture’s the soul of a poet. It’s not something easily explained but is something you feel. In the touch of the mist. In the sight of the Red River. In the traditions, the lives of struggle. A sense of romance hovers over Hanoi like no other city I know. 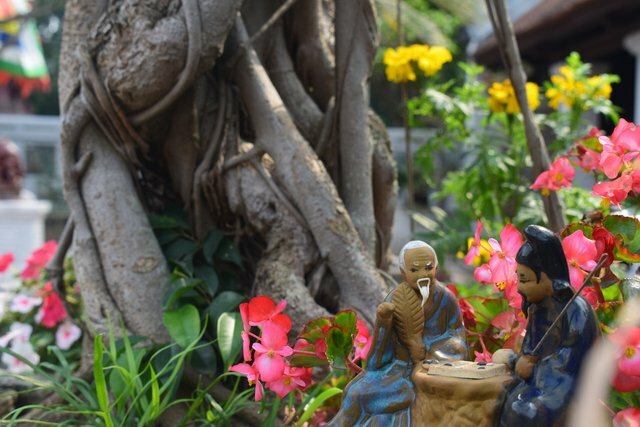 You walk the streets, and you’re passing through a thousand years of history.” Explained one of the renowned poet of the land, Nguyen Du Mau. Also read, my two week’s itinerary for Vietnam! 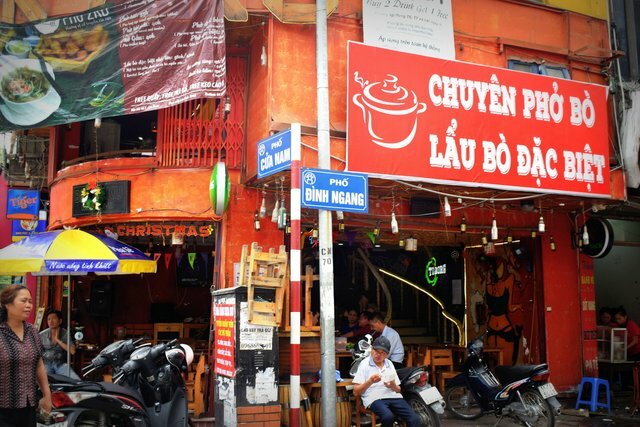 Before you ask what to do in Hanoi old quarter, you need to know her legacy! The maze is crowned with the title of UNESCO heritage in its own rights. The ancient habitat was a commercial zone, surrounded by citadel and specializing in a specific trade material over time. The custom remains same. 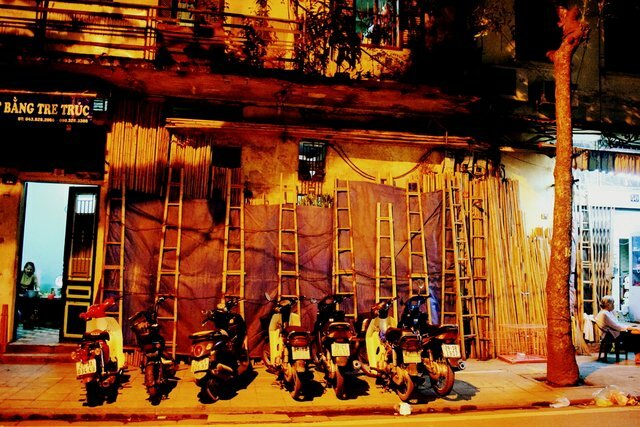 While walking on the street, I found never ending array of shops selling upholstery, suddenly punctuated by elongated bamboo sticks, indicating the next street will be selling bamboo crafts only. There are 36 streets likewise. Each dealing with a specific commodity. When in Old quarter, you should ideally engage with the following activities. During war, the adjacent houses served as connecting tunnels for revolutionaries to commute in clandestine manner. Also, to save taxes, the entrance is built really narrow. But as you enter, a world opens in front of you. Most of the cafes are housed in such houses in the Old Quarter area. One example of Such a house is Ma May. More number of coffee stalls adorn the streets in the area. 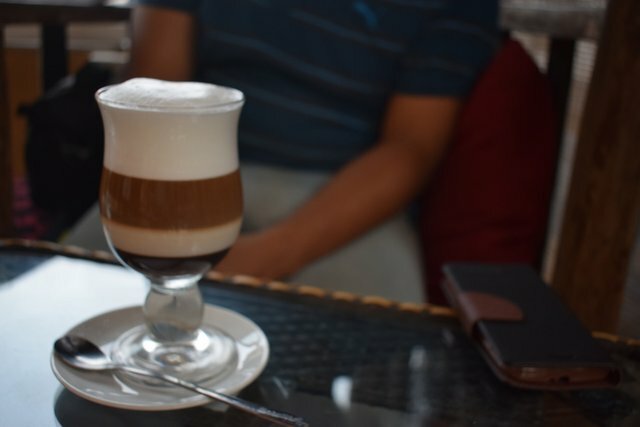 The locals as well as visitors take a seat and people-watch while sipping on the legendary coffee of Vietnam, which is dense with egg cream. 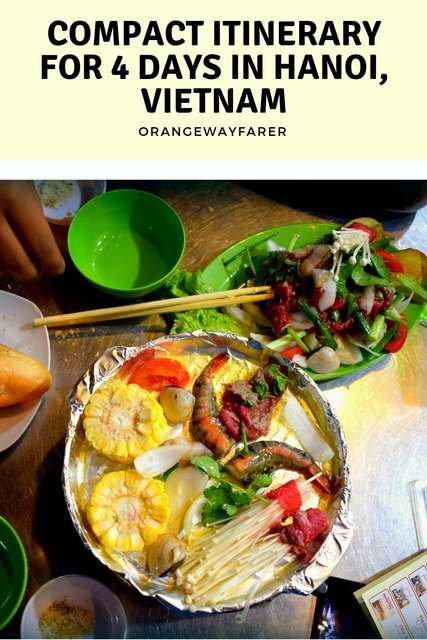 Also read about the must eats in Hanoi in this detailed blog post! 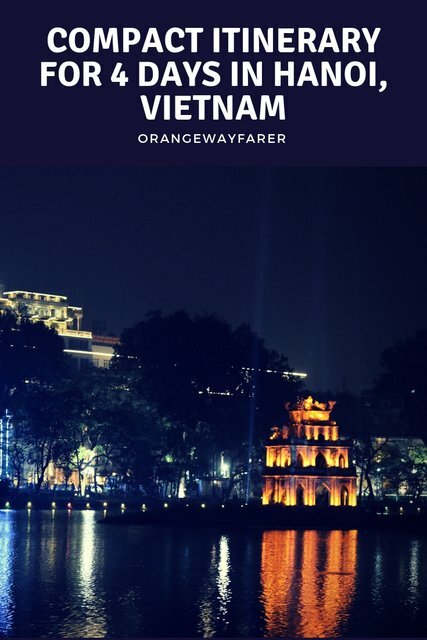 In case you are heading to Hanoi, do stay for one weekend. The Saturday night-market is a thriving vivid urban scape which limns in its own identity. From great food to shopping sweet nothings, Hanoi old quarter night market has everything on offer for you. Walk till your legs get soar. You do not need to sign up for any guided tour. Let Old quarter astound you in her own pace. When tired, hire a rickshaw van. They were fun! 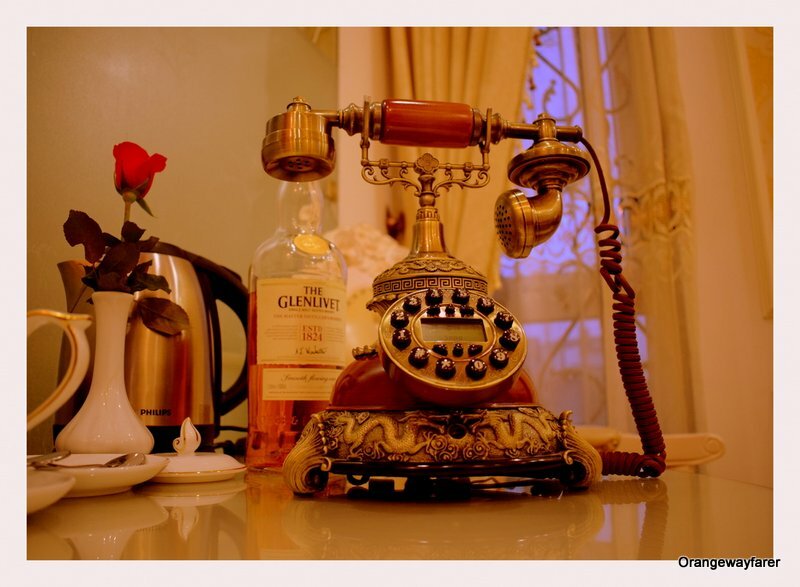 For a map of Hanoi Old quarter, contact your hotel. The city runs on old school style and provides physical copy of road map with places of interest distinctively marked. Also, for a dreamy reminiscing of what it looked like in ancient days, google Bùi Xuân Phái and his paintings. Head to the lake that Red River has left behind for you few centuries ago, first thing in the morning. 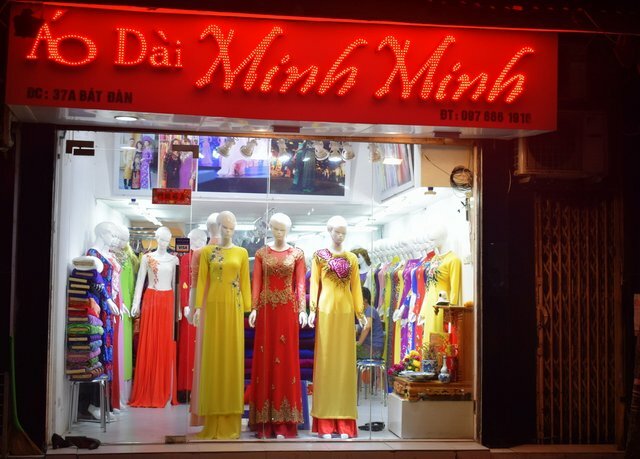 It Is pleasantly serene, unlike the frenzy of weekend nights where girls in traditional attire Ao Dai (a Salwar Kameez like tunic with longer length and slit, made with fine silk) dance and sing. The healthy lot of locals walk across, exercising. A few members of laughing club join hands and laugh at the trees. The turtle pagoda, Ngoc Son stays indifferent. Also read about how to make a DIY trip plan to Vietnam for two weeks. In 2016, the Turtle pagoda saw the last legend of Vietnamese folklore, Hoan Kiem turtle die. His legacy is associated with a fierce battle won with Chinese with blessed sword. Locals called him great grandfather. With him died history of a couple of centuries. As I was sipping tea, the waiter found some time to chat with me in an empty bistro. “He has always been there, looking after us.” Truth is stranger than fiction, I reckon. The cryptid turtle came into being only before she breathed her last. I worry about the lake. It is a small one, dainty with a red bridge, few islets and green water. It is weary of the irresponsible garbage being thrown into it. Hope regained when Hanoians pumped gallons of fresh water in an endeavour to save the beloved turtle. However, sustainability is a question since I found plenty of plastic bottles afloat on the water. I had read about Confucius during early days of school. 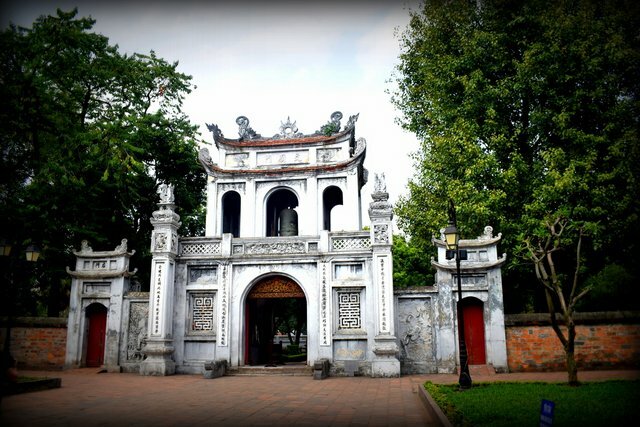 The relics from one of the earliest university of human civilization with Confucian teachings remains in the capital of Vietnam. Each of the ninety stelae will astound you with a sombre turtle bearing the name of the doctorates. Earning a PhD degree was the result of an unprecedented hard-work in the days of yore. Earlier, visitors had a chance to cuddle with the turtle (rub the stone head). Vietnam has four holy creatures: Dragon, Turtle, Phoenix and Unicorn. And then, there is Saigon down south, a world apart! You have not experienced the truest Vietnam until the maker of the nation, Ho Chi Minh and his accomplishments have overwhelmed you. Uncle Ho, the quintessential leader of the nation, lived in a humble house by a pond. Yet, the simpleton man was rendered a grand edifice after death. The Mausoleum is styled after the same as Lenin, Stalin from the Soviet Union. It houses the pale body of the man, Ho Chi Minh. Please note, you need to dress modestly to enter, cannot use a camera inside and cannot visit from 4th Sept to 4th Oct every calendar year(Since the body is sent to Russia for maintenance). Watch out for the pompous ceremony when guards get changed for shift every afternoon. In front of the edifice. To get to the complex, we suggest go for walk. This way you shall be adept at avoiding the tiring negotiation to deal with fuming traffic and explore many other relics nearby. There are Museum, President’s house, the post office and many other official buildings, center of power of the country. While we were there, a BJP minister from India was present and he wrote about three mantras of French revolution: equality, fraternity and freedom in the museum guest house! The walks in the city are the best way to unwrap the mystery of an unknown place. In our 4-day’s stint in Hanoi, we would often wake up, have a heavy breakfast, fill up our water bottle and start the walk. Explore the train tracks that spirals through local livelihood. In a meter’s distance, you can shake hand with a resident! I wonder how it feels to sleep in the houses, constantly shaking as the locomotive passes by. The West lake area, Hanoi’s largest, deserves an evening stroll. It is very different than the bustling city centre of Hoan Kiem Lake. There is a stretch of road extending from one end to the other with azure water on both sides. Boats formed after swans are afloat. Hanoi of twenty first century lives by this lake, takes their gods for an evening walk, lovers chirp. An old pagoda stands by the bank and witness the legends come alive. As I was taking a bite on the plum and poppy seed cheesecake in a café nearby, a Vietnamese lady explained how the mother buffalo yelled for her lost calf in the dark of the dawn, repeatedly hurt the land with her hindlegs and made the West Lake come to be! Please note, the old quarter of Hanoi can only and only be explored with endless walks. Get a map from the hotel, start walking in the labyrinth. It is on the city’s whim which face you shall get to me. The Hanoi I saw reminds me of leisurely evenings in neon lights, bikes honking, women dressed up in boots and black dress and smoking by the street-side cafes, ordering Hanoi beer. Life says cheers, everywhere. I chanced upon visiting a local market selling raw materials on our way back to hotel. I will remember spotting those fiery red chillies and huge carcasses of carp fishes! Morning: Early morning stroll by the Hoem Kiem lake. Follow it with a heavy breakfast in the numerous cafes. Head straight to the Temple of literature. Afternoon: Pay a visit to the Ho Chi Minh mausoleum. Follow it up with extended visit to the museums nearby. Evening: West Lake must feature in you list since the difference is stark. Sip coffee by the side of the lake. Let the fast moves of cars sink in. 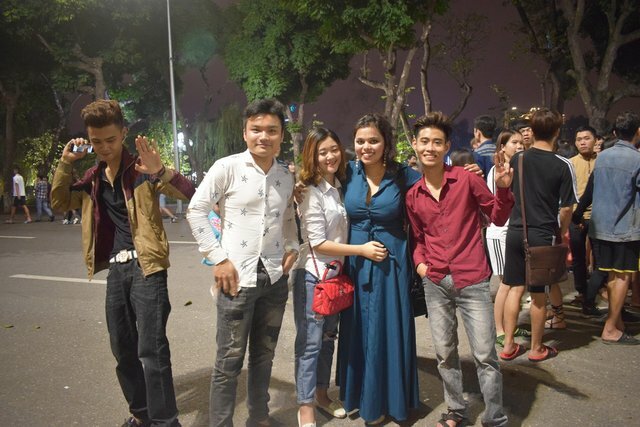 Night: Come back to the Hanoi’s old quarter area and indulge in good food, great vibes from the night market. If you have pre-booked the tickets of water puppet show, go for it too! Additional activities: Cooking class, a visit to pottery village, one pillar pagoda (built in 1049) which is otherwise known as perfume pagoda. The list is endless, really! To know a city and her inherent lifestyle, you are required to spend a good amount of time. With just four days in Hanoi, we could hardly scratch the surface of this grand oriental urban life. People are content and always on the run. By night, the markets are empty, and you see them taking a break, relaxing with a glass of Bia Hoi, beer in local language. The French demeanour is oblivious, unlike Saigon. But the recent war and related romance remains. From the cafes being named after war bunker or ration themed old days to hotels being prison for POWs (Hanoi Hilton), the scar is oozing. On hiring a fancy car, I went for the day trips and found Hanoi has a sprawling suburb with never-ending stretch of lush greenery. The temples are adorned with a smiling king, content with offering of incense, money, smoked meat, cookies, cigarettes(!) et al. The Pho in north of the country is different than Pho from south. We all talk about the great gourmet choice of the city in a different blog post. Did you know there is no McD in Hanoi? 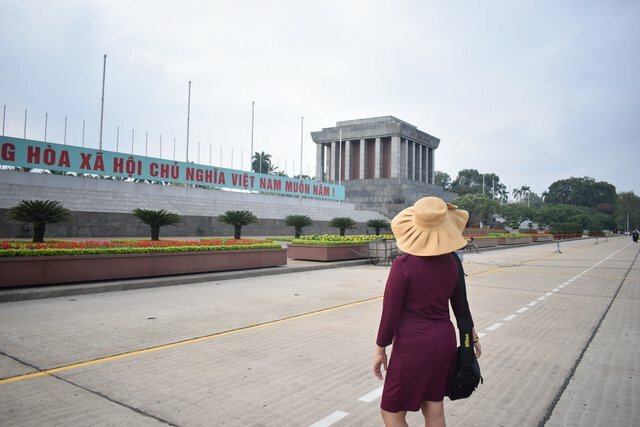 Is it safe to travel solo in Hanoi? 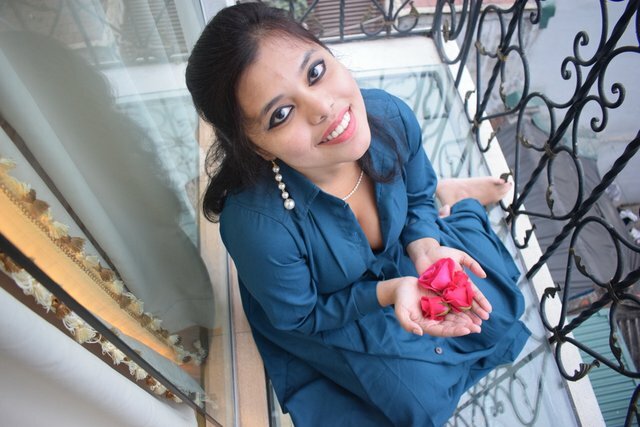 As an Indian woman, I was glad to walk alone on the roads of Hanoi even later at night. It was safe even though the city sleeps early. The pressure to buy something or other from the street vendors were a common experience. And I do not complain. Everyone is finding a way to sustain life. She or he must have a lot of faces back home to feed or send off to school. That and there is a smile from the shopkeepers which was missing when in Saigon, sadly. The pressing trouble is Hanoi faces an acute water crisis. As a transient traveller we ought to be more responsible for water usage of the city. I have explored Hanoi for four days by and large with self-guided walks, without facing the trouble of snatching or robbery. However, it is always suggested you take basic precautions while travelling. About exchange rates: You get exchange shop at every corner of Old quarter but the bank (run by women employees only) gives you the best rate. 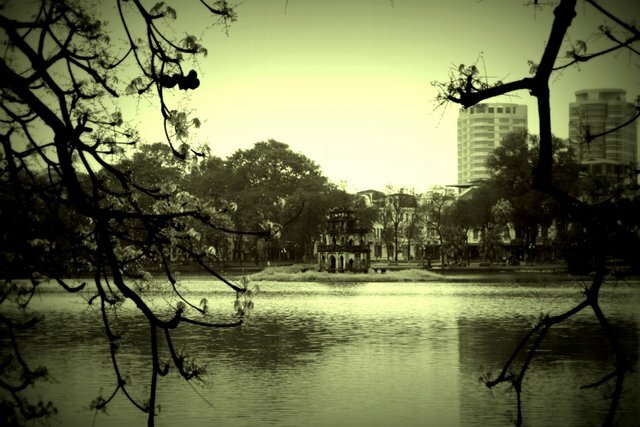 Best time to visit Hanoi: This city has a cold winter and humid summer with occasional cloudburst. I visited during March and it was pleasant to walk around without sweating. I chuckle as I look back at my Hanoi Itinerary. 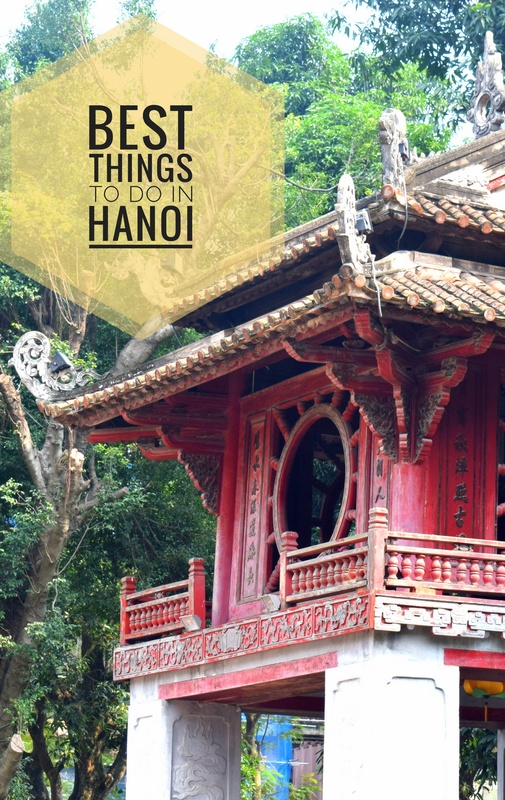 From what to do in Hanoi for 4 days, it escalated to why are we leaving Hanoi only in four days? We were charmed! 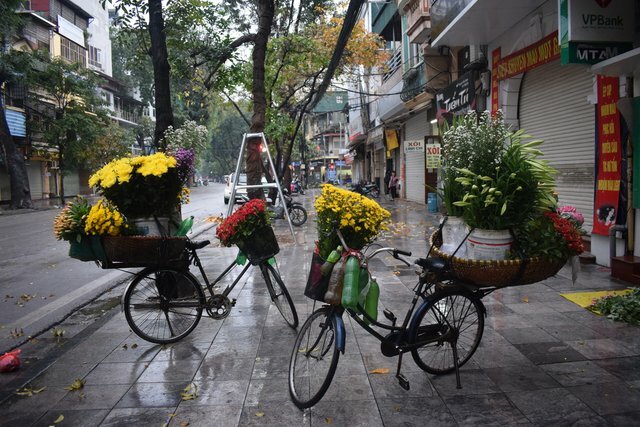 In many ways, Hanoi resembled the romance of old Delhi. In a distant future, I have a plan to cover the South East Asian countries through a city tour! I will come for you again, Hanoi. We found Hanoi to be hectic, but charming. We actually spent about a week there in total, there is so much to see and do you will never get bored! The lake, coffee shops and market were highlights for us. Wonderful place ! Beautifully captured !! Thank you for bringing in the picture of such rich cultures !! Charming place and some nice screenshots and very well explained here.